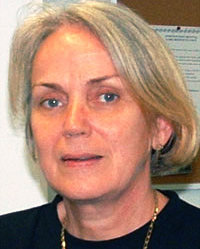 Senior VET Advisor Pam Morgan is leaving Charles Darwin University after 10 years working in VET planning and quality. She will take up a similar role at the New England Institute of TAFE based at Tamworth in New South Wales. During her career at CDU Ms Morgan has taken on a variety of roles, from Course Coordinator to Head of School to involvement in Governance as a member of the University’s Council. In the 1970s she was a school teacher in Darwin, returning in 1988 to teach secondary students at O’Loughlin before working in community organisations. She developed the Working Women’s Centre in Darwin, which provides information, advice and referral to women on workplace matters. Her work with the centre developed her awareness of the need for people to be trained in the community services sector, an area of planning that has occupied much of her time at CDU. ‘VET’s role in the community is vital as it provides about 60 per cent of the skilled employees required for the NT workforce,’ she says.